Flevans began making music in his home town of Brighton using a 4 track cassette recorder on which he'd spend hours looping breaks and hooks to create tracks. It was on the back of a demo created solely using this and a 10 second sampler that Tru Thoughts initially snapped him up, commissioning a number of EP's and an album. It's been 3 years since Tru Thoughts released the highly successful "Make New Friends" album. Combining disco and funk with cut and paste sampling sensibilities and infectious bass lines, the album – a collection of his EP singles – was instantly likable and irresistibly danceable. It proved very popular on the so called "electric-soul" scene, with the piano tinged, disco-tastic "Notion" scoring a place in the Unabombers highly respected Electric Souls Vol. 3 compilation. A departure from Tru Thoughts meant a new home for Flevans. His move to Jack to Phono was set in stone after the release of two 7"'s under the moniker Mooch, after which he set about working on his new album. Retaining the cheeky, dancefloor friendly attitude of his earlier releases, "Unfabulous" additionally benefits from an altogether more polished sound, unashamedly merging his trademark use of eccentric samples with the funkiest of breaks, a smattering of horns, and plenty of wah-wah of guitars. Essentially, it has all the ingredients you need to get the party started. Flevans' knowledge of what works on a dancefloor – a knowledge that has greatly expanded having DJ'ed worldwide and at gigs such as the Big Chill and playing bass for Backini at Glastonbury - has influenced the sound of the new album. There's a new found focus on live instrumentation, with Flevans – a trained musician - playing keys, guitar & bass on almost all the tracks. 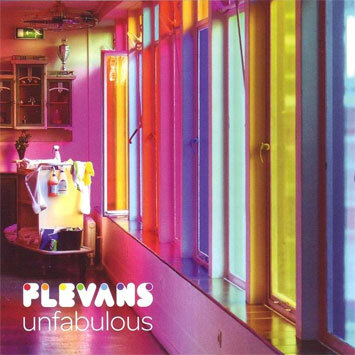 "Unfabulous" showcases Flevans' keen ear for a great hook, and covers a huge range of styles; from the electo-tinged party breaks of first single "Cold Hands", the summer funk & strings of "The Funz" to the cinematic sounds & beats of "Newton's Blues". There's an emphasis on structure throughout, feeling more like an album rather than a collection of tracks. Most importantly however, it's an album which never takes its eye off the dance floor, remaining uniquely musical and listenable from start to finish.